This little girl was dying for a dinosaur party, but it had to be girly. 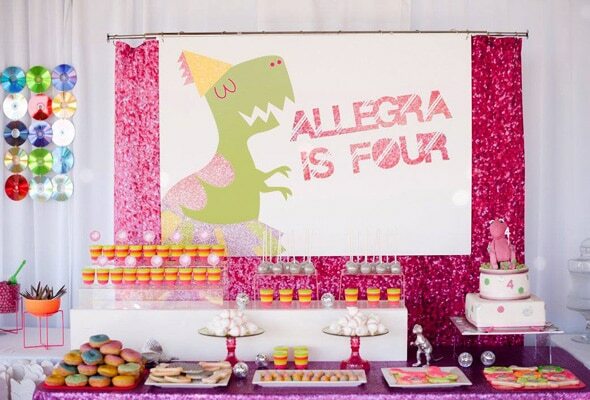 So why not have a Dinosaur Disco Birthday Celebration with fun neon colors, just for her?! 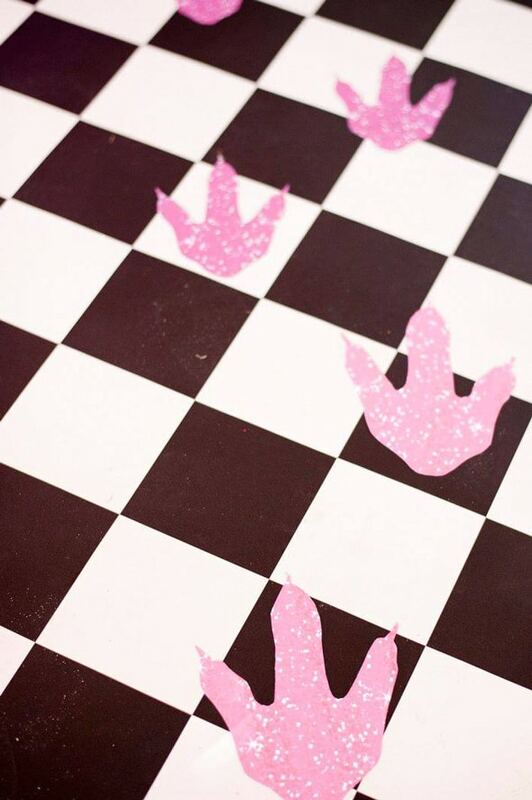 This Dinosaur Disco theme is perfect for any little girl who wants to glam up the dino theme. All it takes is a little sparkle and some tutus to make it happen! 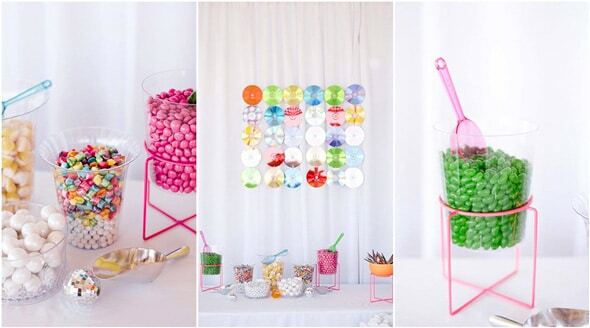 A fun and colorful CD backdrop with neon CD’s were used at the candy bar for all to get into a festive mood! 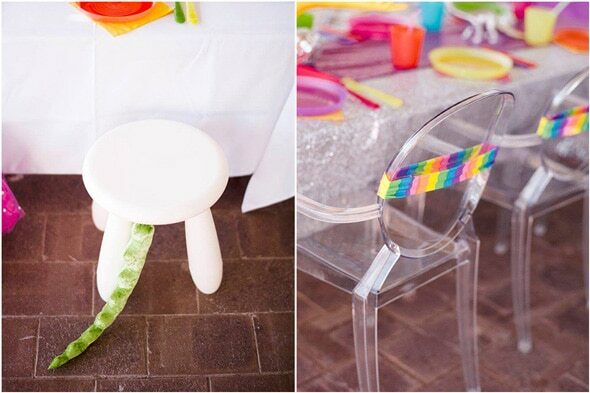 What a fun addition to any party and the CD’s were a great DIY idea! 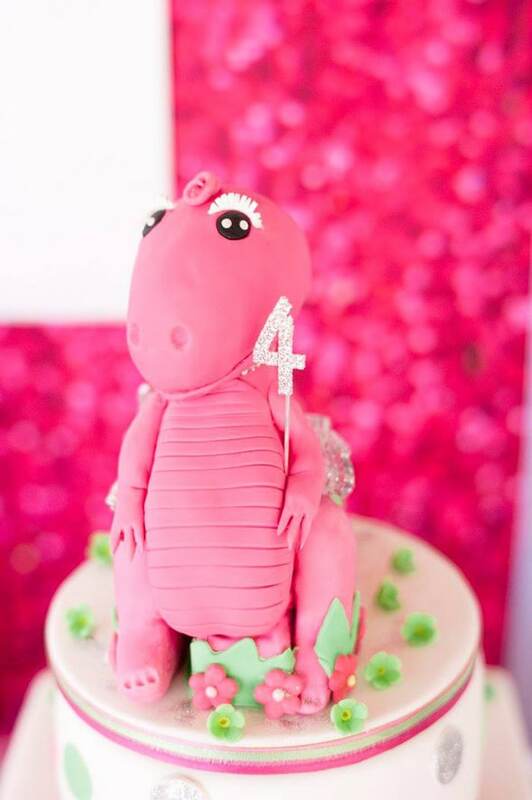 Passion Pink Cakes created a great dinosaur cake that had this sweet birthday girl in mind! 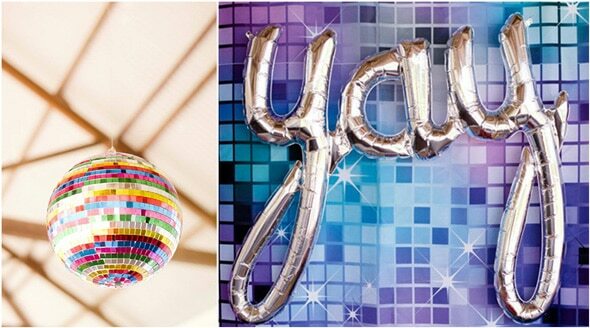 What a great way to tie in the theme and give the birthday girl exactly what she wanted! Desserts were everywhere! 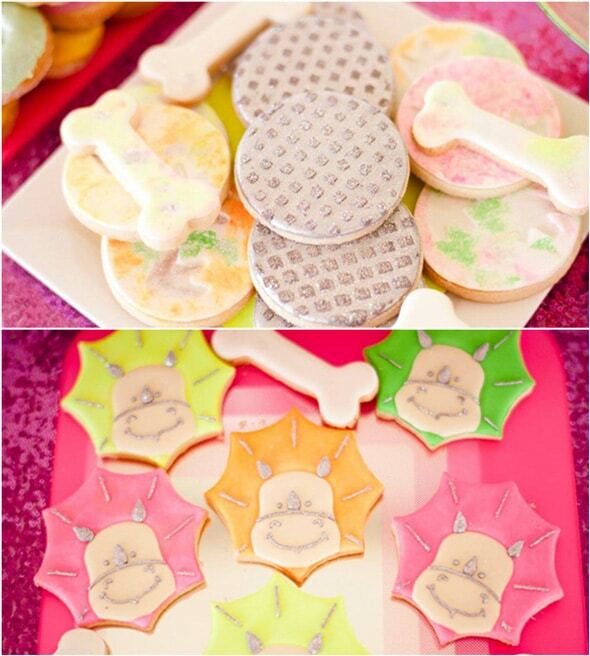 Check out this amazing dessert table with cookies by Frosted by Nicci. We love the little dinosaur creations! Miss Mellie’s Jellies also brought amazing neon jelly cups for the event and Baked Beauties created the doughnuts and geo desserts! Nothing was forgotten! 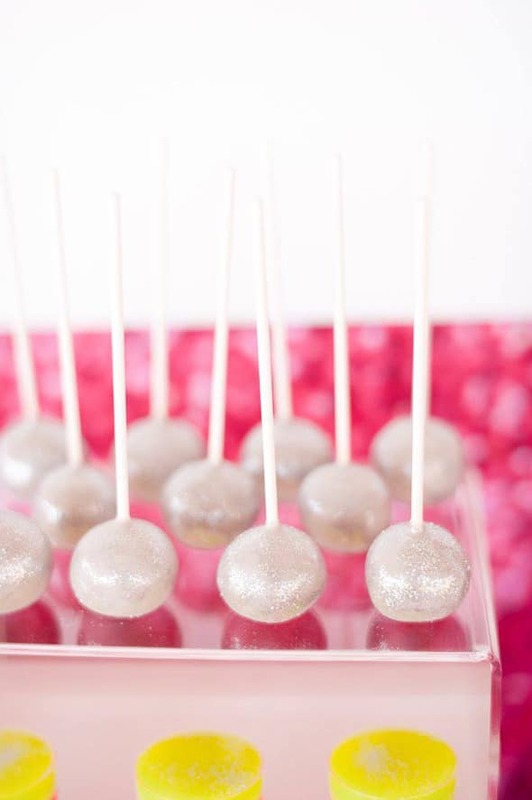 Don’t forget the delicious cake pops from Cupcake Cravers! The table settings were absolutely out of this world! 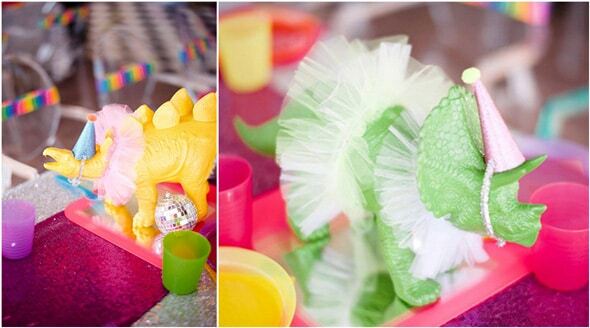 Cute little dinosaurs decorated all of the tables and of course, they were wearing tutus from Tiny Tutu Cake Couture! 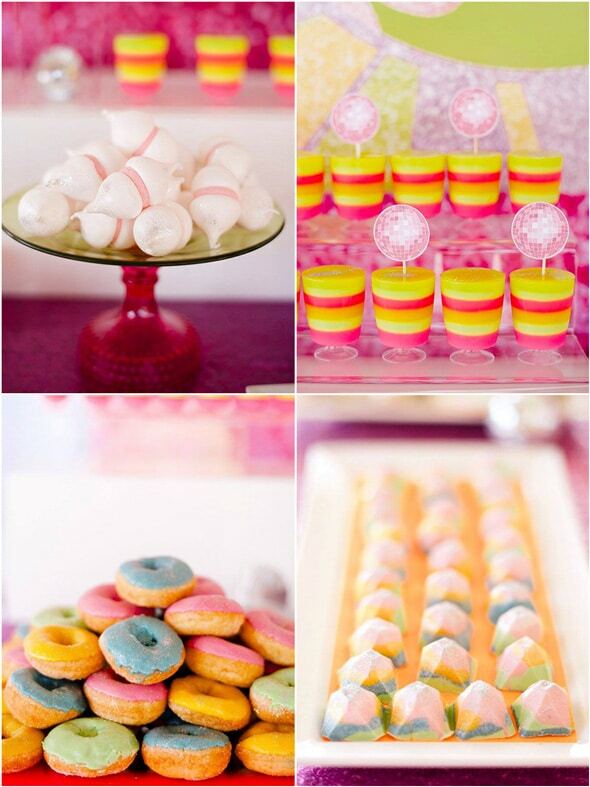 What a great way to bring in some girly fun! The disco portion of the party felt like every parent’s dream who lived through the 80’s! 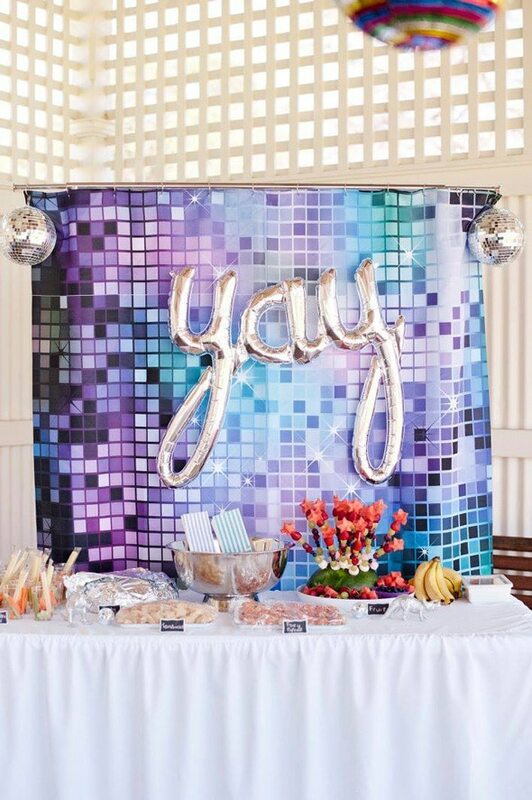 From the wonderful disco backdrop to the actual disco ball, it was a great way to incorporate fun girl things! 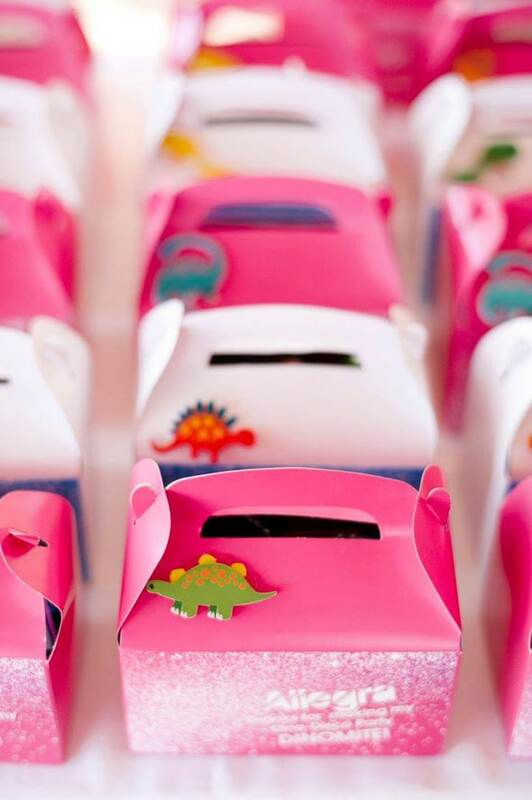 How about these sweet party boxes made with stickers that were personalized for each guest? They were created by Favor Lane Party Boutique and turned out perfect! This birthday girl got everything she wanted when she asked for a super cool Dinosaur Disco Birthday Celebration with a girly twist! 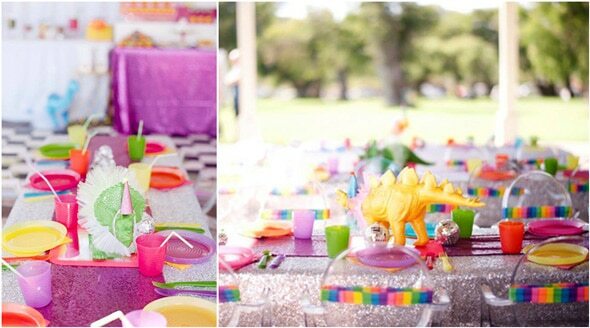 What a unique concept and one that we definitely think will serve as inspiration for lots of other little girl’s dream birthday parties!